16/04/2017 Private Thomas Johnston is buried in Barlin Communal Cemetery, Pas de Calais, France. Barlin is a village about 11 kilometres south-west of Bethune. 16/04/2017 The CWGC record Private Thomas John Johnston as the son of Fleming Wilson Johnston and Mary Johnston, of Camowen, County Tyrone, Ireland. 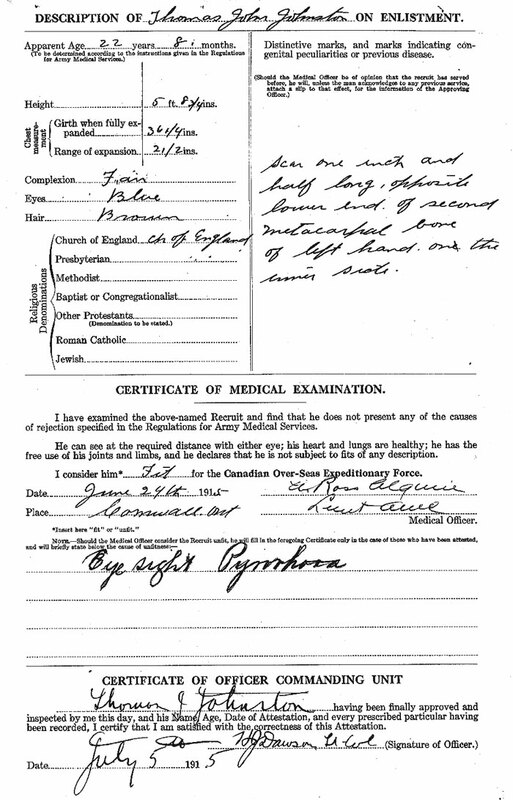 16/04/2017 The Canadian Circumstances of Death Register records that Private Johnston died of wounds and pneumonia at No.6 Casualty Clearing Station on 13th April 1917. 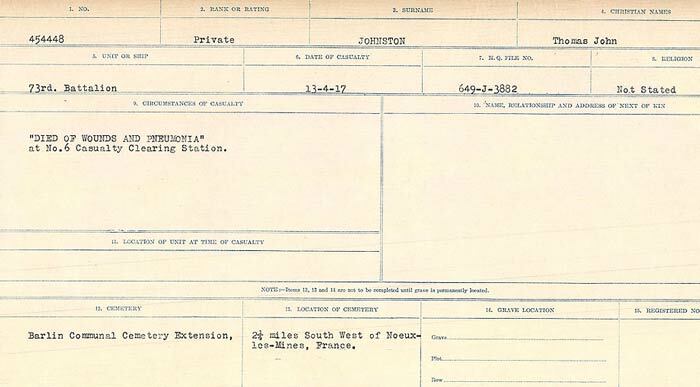 30/12/2015 Private Thomas John Johnston was serving with the 73rd Battalion of the Canadian Infantry (Quebec Regiment) when he died on 13th April 1917. 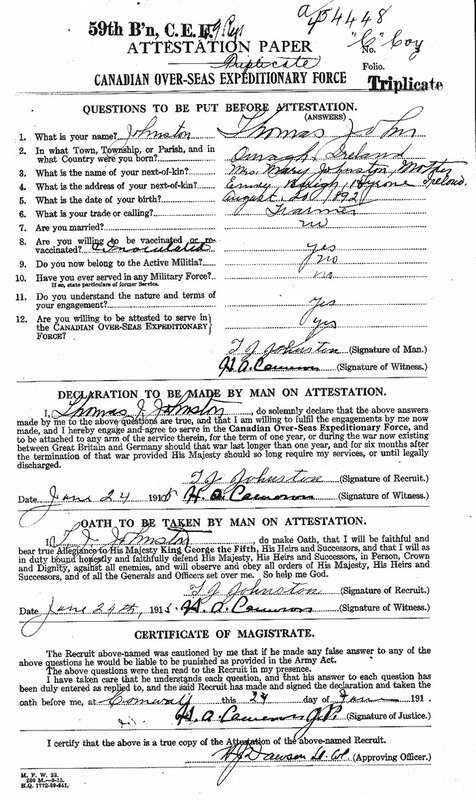 30/12/2015 Thomas John Johnston enlisted on 24th June 1915 at Cornwall, Ontario. He names his next of kin as his mother Mary. 30/12/2015 Thomas emigrated to Canada where he worked as a farmer. 30/12/2015 Thomas John Johnston was the son of Fleming Wilson Johnston and Mrs Mary Johnston, of Camowen, Omagh, County Tyrone. He was born in Omagh, County Tyrone on 20th August 1892.